Feel on top of the world with stylish loft living, leaving plenty of space below for adding our fabulous and versatily stompa storage units. 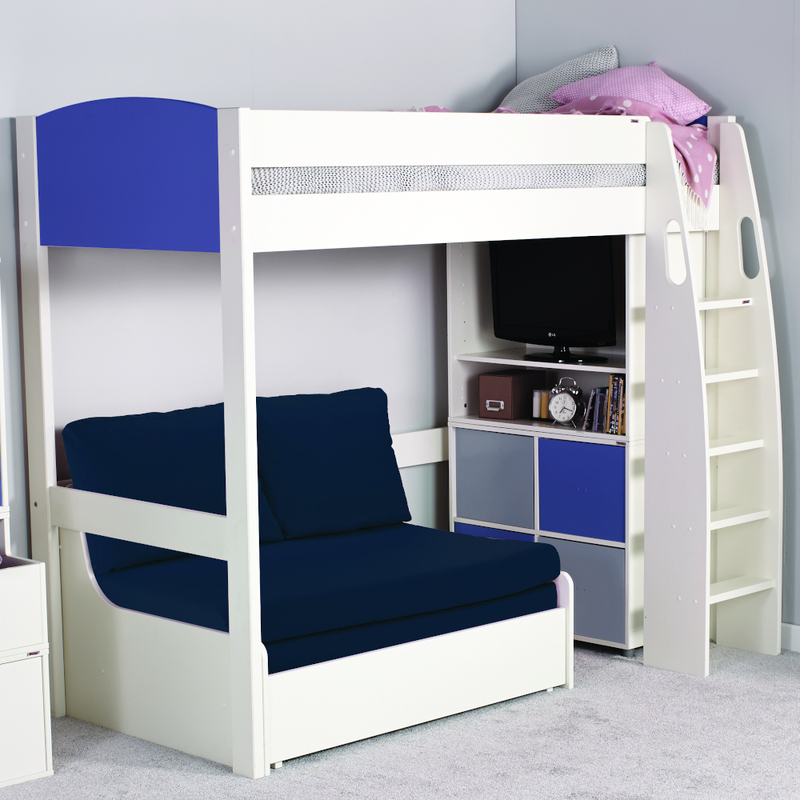 The bed frame is mainly produced in solid pine ensuring strong, long lasting quality and the coloured headboards in MDF. An innovative sleep over bed within seconds. Our brilliantly designed free standing pull out Sofa Bed provides a seating space for chilling out with friends during the day and a comfortable extra bed for sleep overs. Clever wooden slat system for easy extension of Sofa Bed. 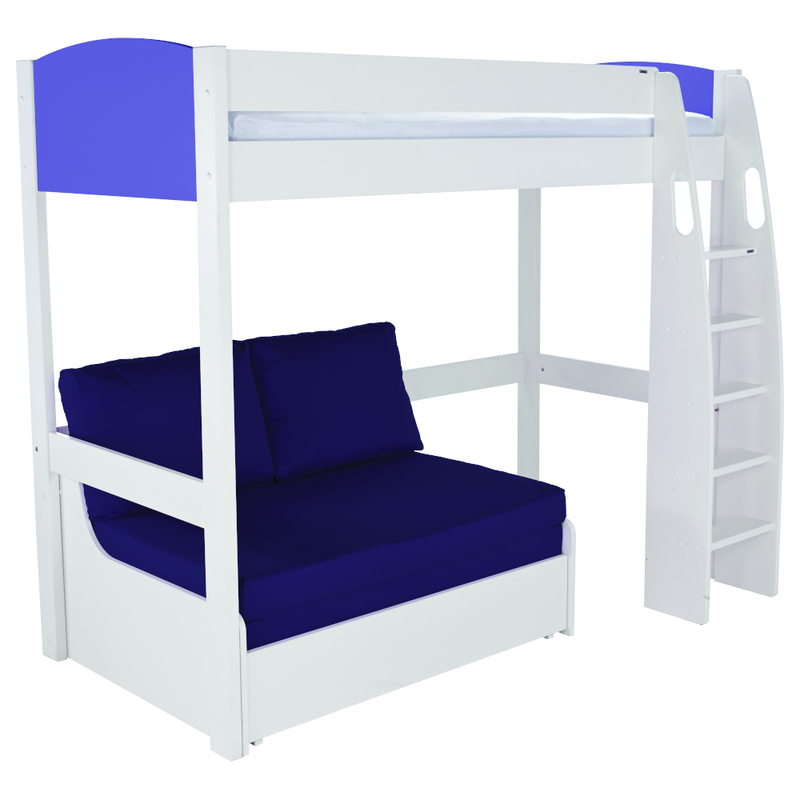 Includes Uno S Highsleeper with blue Sofa Bed. Sofa Bed includes hinged foam cushion set which flips out to make a comfortable mattress with a cosy cushion. Size of Sofa Bed in closed position H667xW1200xL940mm. Size of Chair Bed fully opened H667xW1200xL2037mm. Cushion set available in 2 trendy colours: pink and blue. Recommended min age 6 years.